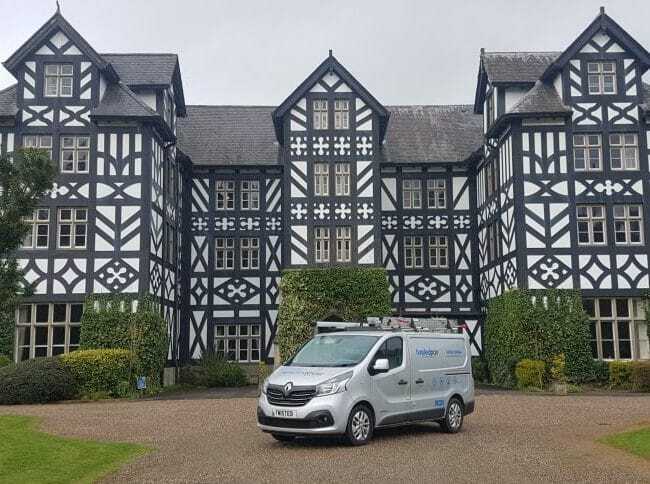 We have been working alongside RWE group as part of a framework agreement since 2014, we are always on hand to repair and maintain the Fibre Optic connectivity between the Wind turbines and control stations. The data from each Turbine sent back to the control station is critical for operation, monitoring wind speed, gear box Oil levels along with other health check stats. The Challenge The challenge for us will always be loss of Connectivity from the Wind Turbine to the Sub Station where all the information is gathered. Which ever Wind farm we visit I can pretty much guarantee a beautiful view, a strong breeze along with a few curious farm animals. 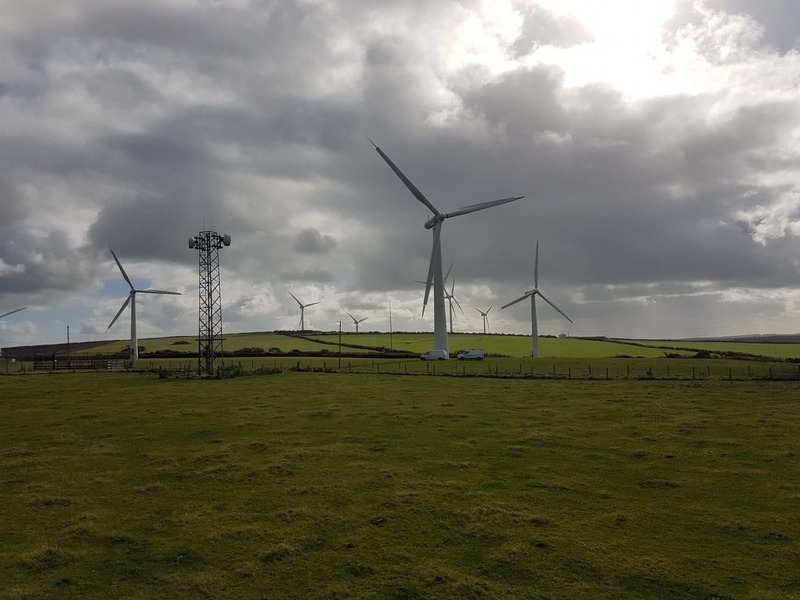 The Solution As the Wind farms are built in remote areas of land sometimes the Fibre Optic cable can be damaged underground where a wooden fence has been erected, we will first prove continuity of the Fibre cores with a VFL (Visual Light Source) to check quickly where the damage may be. Should the Fibre be damaged underground we will use an OTDR (Fibre tester) to find out where the break is along with how the Fibre Optic link performs as a whole. Once located a decision will be made as to whether a repair of the Fibre or installation of a new Fibre Optic cable is better suited. Sometimes the Fibre Optic end faces may get dirty when work is carried out on the Turbine its self . We use a Fibre Optic tester with an inspection Camera to look at the end faces, we will clean them or replace as necessary until the correct test limits are achieved across the Fibre link. We have used Twisted Pair Technologies on many occasions for fault finding and repairing our Fibre Network. The team are reliable and have the knowledge and equipment that is necessary to sustain communications to the Turbines. The task is always carried out on time and conducted professionally therefore I would recommend the services of Twisted Pair Technologies.